Christianity arrived early in Egypt, brought--according to tradition--by Saint Mark the Evangelist, who became the first patriarch of Alexandria. The Coptic Orthodox Church has flourished ever since, with millions of adherents both in Egypt and in Coptic communities around the world. Since its split from the Byzantine Church in 451, the Coptic Church has proudly maintained its early traditions, and influence from outside has been minimal: the liturgy is still sung to unique rhythms in Coptic, a late stage of the same ancient Egyptian language that is inscribed in hieroglyphs on temple walls and papyri. 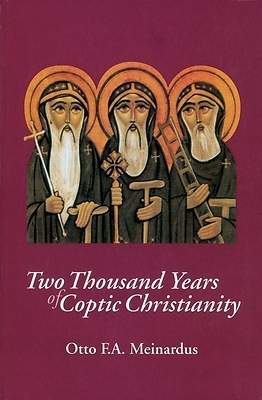 Dr. Otto Meinardus, a leading authority on the history of the Coptic Church, revised, updated, and combined his renowned studies Christian Egypt, Ancient and Modern (AUC Press, 1965, 1977) and Christian Egypt, Faith and Life (AUC Press, 1970) into a new, definitive, one-volume history for the Millennium, surveying the twenty centuries of existence of one of the oldest churches in the world. This bestselling volume is now available for the first time in paperback.